Britton Monts (formerly of Monts & Ware LLP) and the Monts Firm have been serving clients for 32 years providing high quality litigation services to individuals and small businesses throughout the U.S. in the areas of complex civil litigation, class action litigation, death and catastrophic injury claims and intellectual property litigation. We have achieved multimillion dollar results for our clients many times, some of them in high profile and nationally publicized cases. The Monts Firm has broad experience handling and trying complex civil cases, allowing us to deliver results for our clients regardless of the subject matter involved. We pride ourselves in handling cases that are difficult, novel and important. 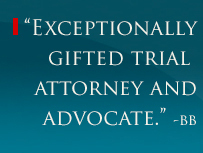 We accept the challenges and complexities these cases present because we are committed to excellence in our practice. We have proven results to back it up. From oil and gas and real estate issues to employment benefits disputes, we are ready to help our clients achieve the best possible results. In class action litigation, the claims of thousands (even millions) of individuals are consolidated into one case. The individual claims may be too small to pursue alone. Class actions allow people to band together and hold companies accountable for harming many people in ways that involve too small a sum of money to justify separate claims (like wrongfully charging thousands of consumers small fees – fees that add up to millions of dollars for the company). Britton Monts has served as class counsel in a number of large, national class action lawsuits. This experience allows us to efficiently evaluate potential class claims and pursue the good ones aggressively. We have extensive experience representing people who have suffered life-threatening injuries and the families of people who have died as a result of others' negligence. These cases are one of the most important events in our clients’ lives, and we treat them with the seriousness and compassion they deserve. Our trial experience and innovative approaches have allowed us to obtain multimillion dollar settlements and recoveries for our clients many times. Britton Monts has extensive experience handling oil and gas litigation, much of it involving mineral owners with claims for underpayment of royalty on oil and gas production and oil and gas lease disputes with companies that lease their mineral acreage. The oil and gas industry can be a rough and tumble business. Mineral owners and investors often are unaware of the creative and aggressive practices by some oil and gas companies to avoid or reduce royalty payments to landowners. Our experience in these matters we can help landowners ensure they are being paid full royalties due under leases they have signed. 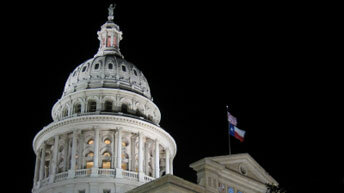 We also have experience handling oil and gas class action lawsuits. These cases are used to bundle numerous claims of a similar nature by mineral owners or working interest owners, particularly where the individual claims are too small to justify a separate lawsuit. This is an effective way to force an oil company to compensate mineral owners and working interest owners for underpayments. representing clients in the areas of litigation, corporate false claims, securities and fraud, medical negligence.